What are some favorite memories of Pianofest? I first went to Pianofest in the summer of 2004, after hearing about it from my teacher at Juilliard, Jerome Lowenthal. I will never forget the countless nights just hanging out at the house - we would play for each other for hours, talk about music and listen to recordings. It was an amazing learning experience being around so many talented young musicians and having the chance to learn from them. Another great memory is of course the Monday concerts and the after-concert pool parties! What are your projects these days—you have moved in unusual directions for a musician! My path has been a bit unconventional, as compared to most musicians. In my mid-20s, I got passionately interested in science and went on to get my PhD in Physics. Now I live in New York and work as a research scientist at a company that's trying to revolutionize medical imaging technologies and make them more accessible to people around the world. Nevertheless, I'm still very much involved with music and continue performing regularly. I'm also now father to a young daughter, Alina! You are one of the newest board members at Pianofest--how did you first hear about it and get involved? 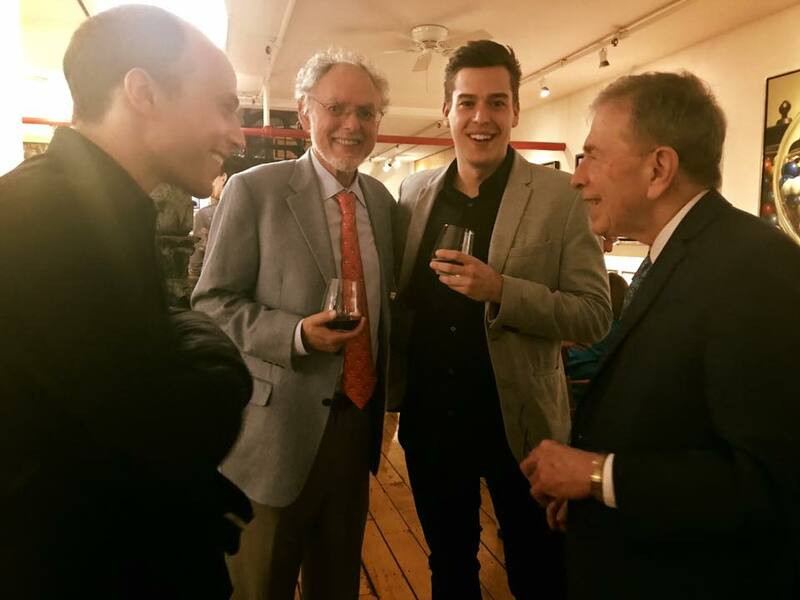 I first heard about Pianofest from Stephen Dickman, who tunes my piano at our house in East Hampton, and who is an integral member of the Pianofest family. After attending my first concert several years ago I quickly became hooked. What is the best part about being involved in Pianofest? The best part is really a series of experiences that perhaps are best described as "aha" moments that resonate deeply in one's soul. Those moments include hearing something in a piece for the first time that touches you deeply; a comment or critique from Paul Schenly that is right on the mark and explains why that happened; and speaking and interacting with other audience members and the extremely talented artists who share a common love for and interest in the music. Do you have a favorite memory of Pianofest? It is hard to single out just one, and honestly I have no "favorites" because all of the talented Pianofest artists have given me so much over the years. But I will never forget the first time I heard Liszt's Ballade No 2 in B Minor played by Daniel Linder at Avram in the summer of 2014. Spellbinding. Summer 2017 Concert Listing—See You There! For further information, please call (631) 329-9115. All Monday tickets $20 per person at the door only. Students free. No reservations needed. All concerts are followed by receptions to meet the artists. See you there! Meet them all at the reception after each concert! Older PostOur First Digital Newsletter for Pianofest!